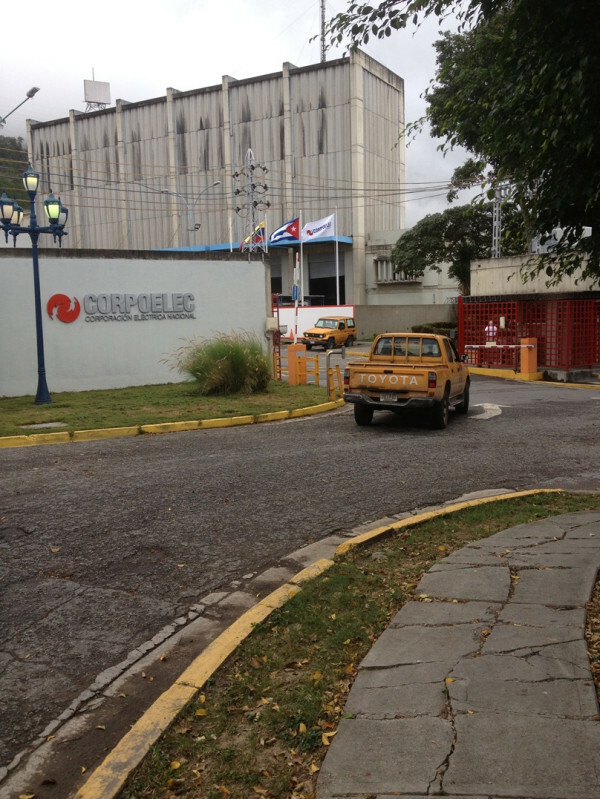 Home International The cost of Cuban "expertise"
The cost of Cuban "expertise"
An alleged picture of the CORPOELEC offices in the Caracas neighborhood of El Marqués, where looks like the Cuban flag flies next to the Venezuelan one. As the ongoing electric crisis continues, this blog reported last September how Cuba was helping the national electric company CORPOELEC handle the numerous problems of our power grid system. Today, an article in the Valencia newspaper Notitarde gives us an estimate of how that assistance is worth by the day: 3.1 Million US$. Expenses include the advisory fees, salaries and other allowances. There are at least 1,000 Cuban electrical workers in Venezuela right now, with 400 of them repairing the Planta Centro power station. Interesting to point out that CORPOELEC has used in part borrowed money from the Inter-American Development Bank (IABD) to pay the Cubans.